Please note that if you buy from China Warehouse, maybe you cannot enjoy the free gadget and delivery may be a little slower. But the price is much lower: $449.99 only. Check price and more. 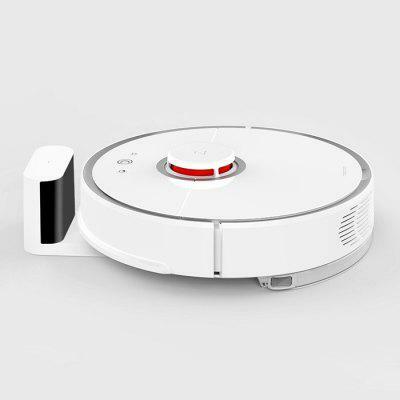 Compared with its first generation, roborock S50 Smart Robot Vacuum Cleaner comes with additional 2-in-1 Sweep Mop function with which users can not only sweep the floor but also polish floor with the mopping pad. The LDS Bumper SLAM 2000Pa Suction 5200mAh Battery is for up to 2.5 hours of cleaning. This model has received more than 1000 positive reviews at GearBest, which gives us surprise. Check Price and More.